Well this is a lot of stuff…. My wife and I had a few beautiful baby girls the past two years so finding time to sell of unused gear has been tough. Naturally I've decided to do it all at once lol. Wanting to start up college funds for them. Anyways prices include CONUS shipping. 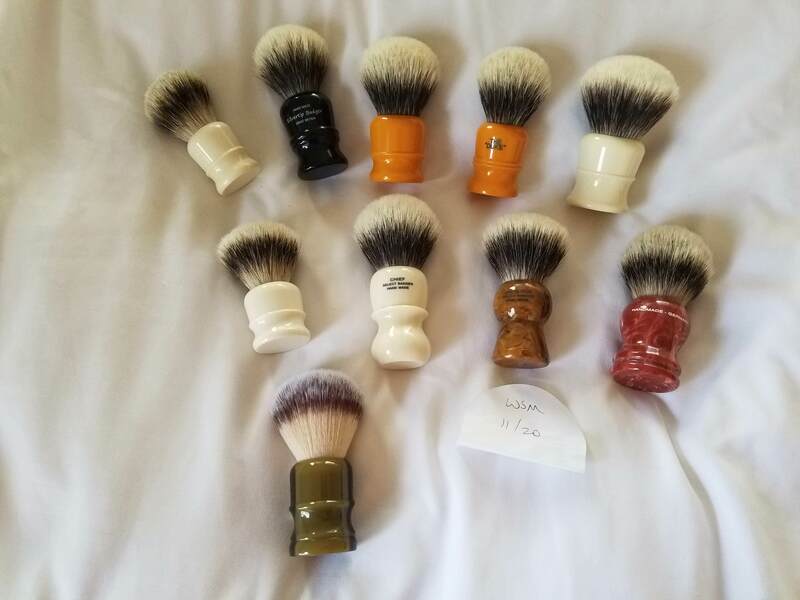 International please reach out and I can get a price to you for shipping. More pictures and product details upon request. I was hoping your duke was faux ivory . Good luck on your sale. I didn't see a Brad Sears photo. 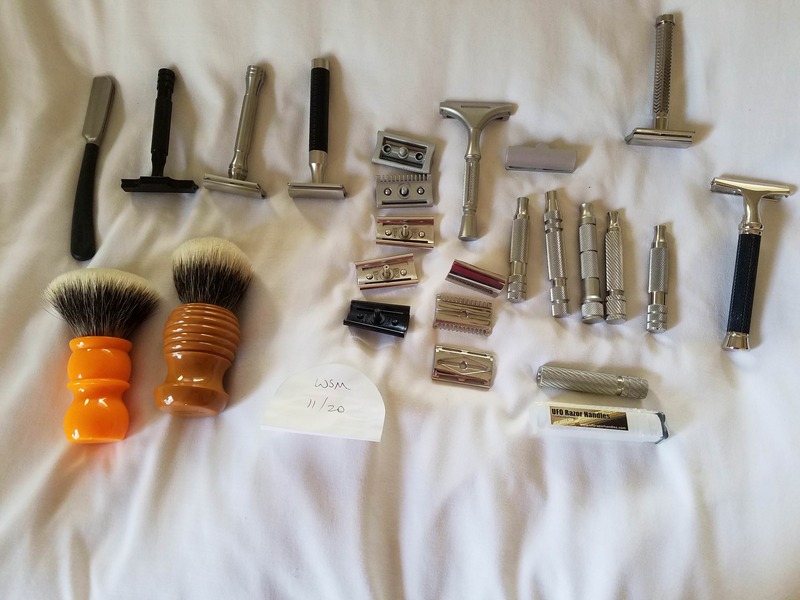 Also, what are the details of the brushes in the razor photo? 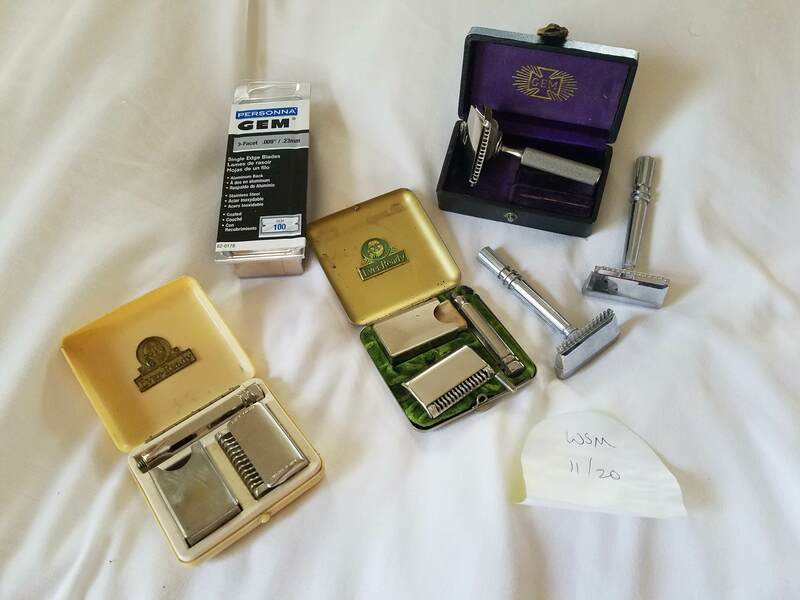 The Sears is in the photo with the razors. Large brush with beehive style top. 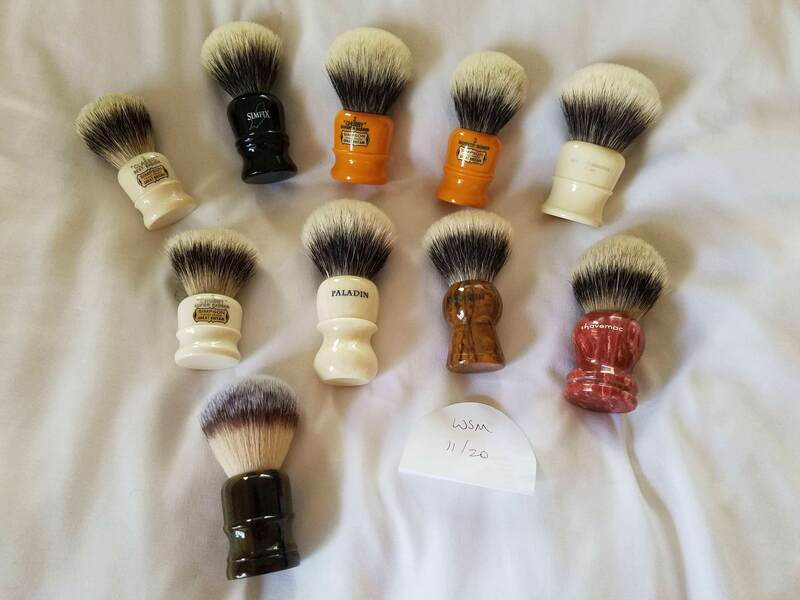 Is the Stirling brush for sale? I don't see it in the list. Which Rocca is it? V1, V2 or V3? Do you know when it is from? (11-20-2018, 06:36 PM)Sharps Wrote: Which Rocca is it? V1, V2 or V3? OP : what’s sold and what’s available? Anything that is not crossed out is still available. Sorry for the organization (or lack thereof) it really is hard to find time with two little ones in diapers still... The gear is all well cared for though and packed with care when it's ready to be sent to a new home. Are you also selling the handle all the way at the bottom right corner (UFO?)? Disregard. I didn't read closely enough to see that it was being sold with the King Cobra. I kind of went right past that one. 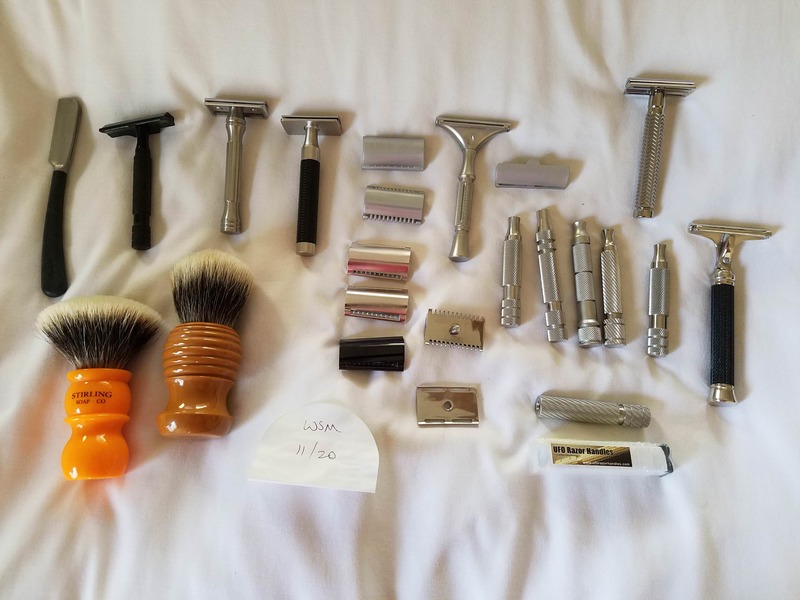 That Shavecraft 101 is a fantastic head. If I didn't already have two of them (true story, lol!) I'd be all over it for that price. Is the IKON OSS handle still available?